Cuban success with "Arroz Popular"
In Cuba, the "arroz popular" (or "cultivo popular") movement is a remarkable example of successful low-input production of rice by small farmers. Rice is a staple of the Cuban diet, and for decades was produced conventionally, with high inputs on large state-owned farms. In response to the crisis of the 1990s, small plots of rice were grown in otherwise unused areas, such as along roadsides or between sugarcane fields. By 2001, the annual production of this "arroz popular" had exceeded the conventional production of rice from large farms in Cuba. In 2008, 75% of the total national production of rice was "arroz popular". "Fundamental to the Cuban diet, the per capita consumption of rice exceeds 44 kg annually or 265 g per day. The production of rice in Cuba developed for many years on large state farms and it was also one of the crops prioritized by the State. Then it seemed indisputable that to achieve self-sufficiency with this cereal it was necessary to resort to conventional methods of high inputs. 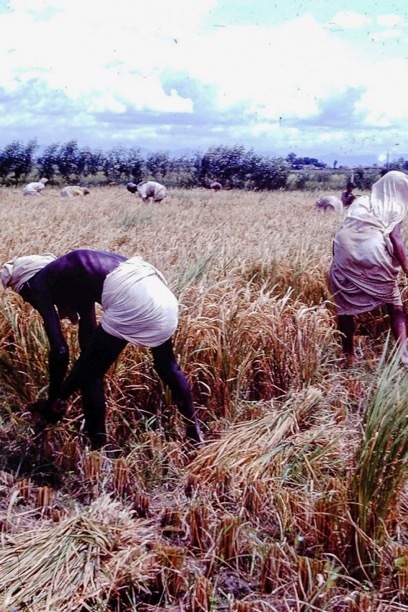 Nevertheless, even during the 1980s, when inputs were available, the national demand could not be covered and it was necessary to import 40% of the rice consumed. Production of this cereal with high inputs proved to be untenable at the beginning of the crisis of the nineties. The new program 'Popular rice' showed that self-managed and low-input agriculture could have a positive impact on national food self-sufficiency. The 'popular rice' production was, in its origins, like the urban agriculture in general, a movement for self-sufficiency. This cereal began to be cultivated in abandoned areas, in small plots between sugarcane fields, roadsides, etc. The movement grew rapidly and achieved unforeseen levels of production and efficiency. In 1997, while the Union of Rice Companies produced 150,000 tons, the 'Popular rice' movement achieved 140,600 tons and involved 73,500 small farmers who obtained, as a national average, 2.8 t/ha without the use of expensive inputs... In 2001, 'Popular rice' represented more than 50% of the total national production; in the year 2008, 75%." Manual harvesting has a significant role in this rice production, since machinery tends to be unsuitable for the smaller fields. Studies done in Cuba have concluded that for plots up to 0.25 hectares (0.6 acres), manual harvesting is recommended as the most efficient method (as well as the most economical), and for larger plots of 0.25 to 1.0 hectare (2.5 acres), manual harvesting is still the most economical method. With a scythe, rice is harvested at least 3 to 5 times faster than with a sickle (as measured during trials in India). 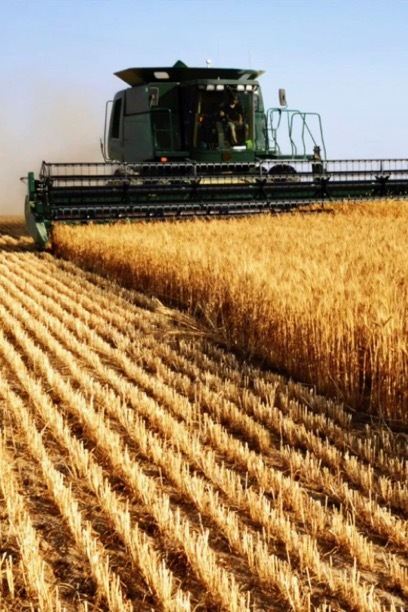 This increased efficiency of manual harvesting with scythes will effectively increase the size of the field where manual harvesting is the most efficient and economical method, further reducing dependencies on imported fuel and machinery. 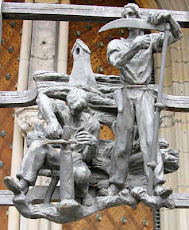 Beyond the improved efficiencies, the use of scythes is also friendlier to the bodies of the workers. Sickles and machetes require the worker to bend over or squat throughout the day while cutting, while scythes get the job done in less time while the worker is in a more-comfortable standing position. 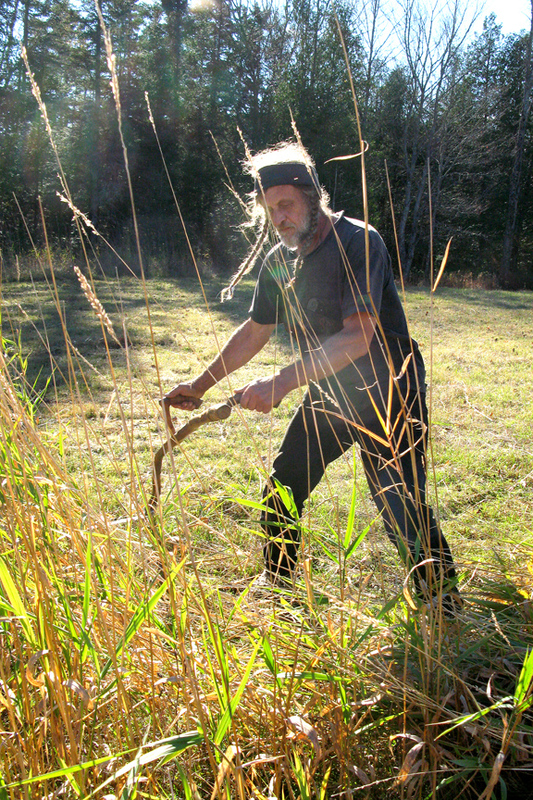 Alexander Vido, the scythe advocate from Canada who brought scythes to India (along with Sy Schotz, as shown in this viral video), extends a request to Cuban farmers, Cuban agroecologists, and Cuban researchers, asking them to please contact him if they would be interested to see how scythes could be used in Cuba. He asks for an invitation to Cuban farms or research centers, where self-funded demonstrations or trials could be arranged (with all travel, lodging and food expenses paid by the scythe-using visitors from Canada). 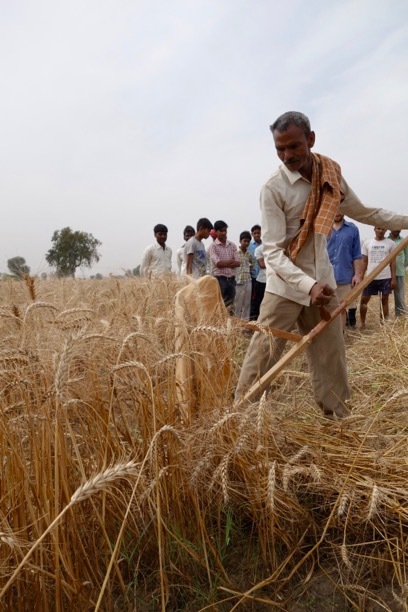 These activities would be non-commercial in nature, with the goal of increasing awareness of how this tool can benefit small farmers when used properly. Area hasta 100 ha para el consumo -- Segadora manual motorizada..."
"...en áreas pequeñas hasta 0,25 ha, lo más eficiente es realizar todas las actividades manualmente y con la ayuda de la tracción animal. El segado de las plantas y la trilla debe hacerse manual. Se siega con una hoz o machete una vez que el grano este en su madurez optima de cosecha (18 – 20 % de humedad)... Si la cantidad de semillas no es grande y no hay riesgo de perdidas por lluvias, animales u otras causas, se pueden secar al sol primero las plantas segadas y luego su trilla será mas fácil...La transportación de las plantas dentro del campo o al lugar de secado puede ser manual o con remolques de tracción animal. Los productores individuales que poseen áreas hasta 1,00 ha, lo mas recomendable económicamente es realizar la siega de las plantas con la hoz y el machete, también en limitados casos con una segadora manual o motorizada..."
Tecnologías y nuevo equipamiento para la producción arrocera en Cuba. De acuerdo con el intercambio realizado con los productores del área de estudio, la situación más común de la poscosecha es la siguiente: ...En Camagüey, alrededor del 60% de la producción total es cosechada por combinadas pertenecientes a entidades estatales o a cooperativas. Cerca del 30% es cosechada manualmente y trillada por medio de trilladoras pertenecientes a productores individuales y menos del 10%, se cosecha y se trilla todo a mano..."
"En Yaguajay alrededor de 60% se cosecha con combinada..."
"Victoria, Yaguajay ... Corte manual... 15 hombre-día/ha"
"Using the scythe, we could easily manage to harvest between half to one acre of paddy [rice] in six hours of working, thereby saving a considerable amount of time and effort." Add to this the fact that harvesting with the sickle involves a lot of drudgery and harvesting with combines leads to social evils like unemployment and environmental hazards like “straw burning”. Peter Vido wrote the following 'bio' in 2017 as part of some emails he sent to potential collaborators in Central and South America. In recent years, he made great efforts to reach small farmers around the world to help them realize the benefits of scythe-based forage cutting and haymaking techniques when their animals would otherwise not be getting enough nutrition throughout the year. 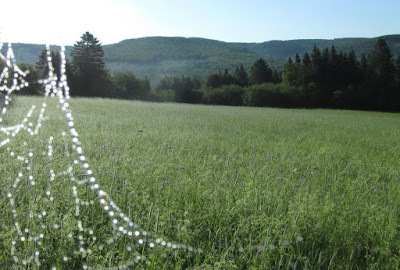 In this realm, Peter and his family have learned how to do what might seem impossible: In a place with only 85 frost-free days per year, and seven months of vegetative dormancy, their cows, goats, and sheep (dozens of them) have thrived on a strictly home-grown diet consisting of only hay (along with what's foraged from the pasture). This diet was the norm for their ruminants for about 20 years. The 'secret' is revealed below. Born and raised in Slovakia, I emigrated to Canada in 1968. In 1974, after graduating from university (where I met my wife), we decided to throw away our paper diplomas (in biology and environmental studies, respectively) and put our lives' energy to what we thought of as 'more real' endeavors. By then we came to believe that small scale agriculture (rather than agro-industry) has long been the backbone of all civilizations, and that it is likely to remain so for many generations to come. In line with that view, we chose the existence of small farmers, living in a very 'alternative-to-mainstream' manner, and more than 40 years later, we are still just that -- the remnants of the western world's 'peasants', so to speak, practicing an approach to agriculture we perceive as a sensible alternative to the modern (corporate-agenda-oriented) technological solutions to small farmers' challenges. For over 20 of those years we farmed 'our' 80 acres of fields and pastures using draft horses as the source of motive power. Our 16x24 foot cabin in which we raised 3 children is still 'off grid'. From the beginnings of our 'career' as farmers and all along, our life has been intimately intertwined in co-existence with many domesticated animals (sheep, goats, cows, horses and donkeys -- all of which we maintained a breeding group of, rather than a few individuals). Our aim was to learn how to feed them well on a home-grown diet. 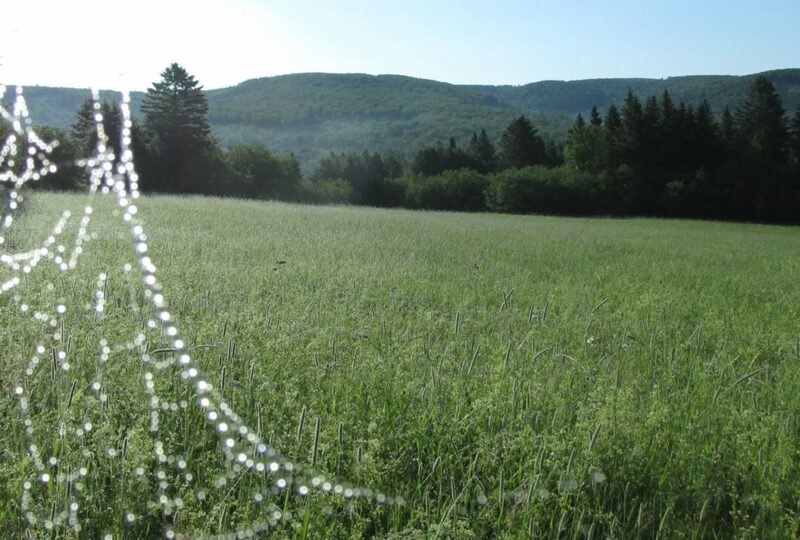 And though we live in a climatic zone with only 85 frost-free days, we can (and we used to) grow enough concentrated carbohydrates (grains) to meet their nutritional needs according to dictates of modern science on animal nutrition. However, at some long-ago point in our experience, we came to question the wisdom of that approach... and gradually altered our strategy. Consequently, for perhaps 20 of the recent years, our ruminants have grown fat and produced plenty of milk on purely 'roughage' -- meaning only home-grown hay during the nearly 7 months of vegetative dormancy, and pasture during the rest of the year (still supplemented with home-grown hay ad lib. whenever the pasture is too lush or too wet from rain. This 'husbandry touch' is particularly appreciated by goats, as we determined by countless tests of milk yields over the years). The 'secret' here is that -- quality wise -- the sort of hay we have learned how to make, we could not very well buy anywhere in Canada. The technology we employ to do so is the same, in principle, as was used by peasants of old Europe for centuries before crude oil and combustion engines were discovered (and when grains were too precious to use as feed for cows). However, once haymaking became mechanized (and already during the period of Western horse-powered agriculture), a portion of the leafy contents of the hay was often lost, thus reducing its nutritional potential. Of course, the modern science of animal nutrition came up with "dairy rations" (and other conveniences served from a bag). But how long -- we had asked 30+ years ago -- can such a 'welfare system' continue...? And is it even implementable, on the broad scale, in the so called 'developing/poor' regions of the globe? We do not think so. Given that stand (along with the many years of experience in that regard), what I believe we now have to offer to the campesinos anywhere are some useful hints on how to provide better nutrition, particularly for ruminants, by utilizing the natural vegetation, harvested locally, at the most favourable stage composition-wise) using relatively 'sustainable'/'intermediate' technology. 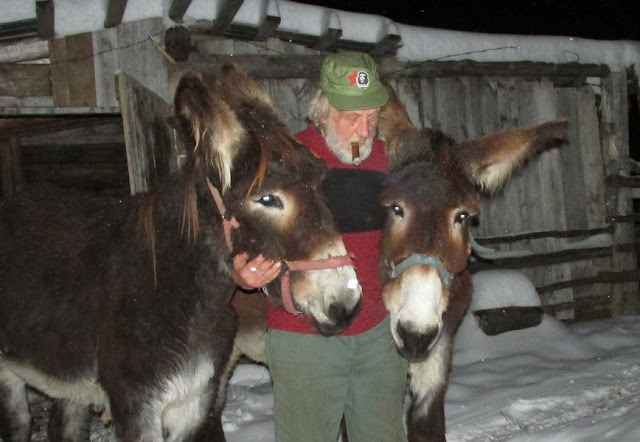 Text and photo (with donkeys) from correspondence with Peter Vido. He is a mower no more. By Alexander Vido, originally published by ScytheWorks. Peter once told me that in some Austrian villages, where haymaking with a scythe was a common practice, they referred to a man’s passing by saying: “He is a mower no more.” Now, six months after we learned about his cancer, with sadness I say: “Peter is a mower no more...” This expression is even more applicable since the scythe became first his passion, then the mission of his life. 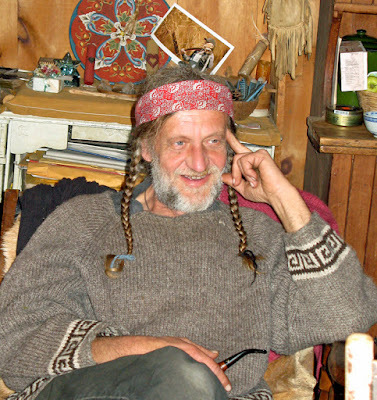 Peter will be missed by his friends and family, especially his wife, Faye, and daughter, Ashley, with whom he shared the care of their land and animals. They selflessly looked after him on the farm till the very end. Even though Peter liked to keep his feet on the ground, he was guided by his vision of the bigger picture, and would often neglect the ‘small necessities’ of daily life. I know their lifestyle was often romanticized, but their focus was on meaningful participation in human existence, rather than an idyllic life on the farm. A scythe came to Peter’s attention quite innocently, and it soon replaced the horse-drawn sickle mower in their haymaking activities. To better understand the scythe, Peter went directly to the original sources. He travelled to Europe to visit scythe manufacturers, and went to villages to meet with old-timers for whom the scythe was indispensable. He observed the traditional ways the tools were used, and then tested and compared them, seeking the most efficient options. He encouraged others to do likewise. In his view, while some traditions are necessary to sustain a culture, they might also be restrictive, and therefore need to be questioned. He shared his observations with the scythe producers and encouraged them to implement changes to benefit the scythe users. He inspired, organized, and galvanized a new wave of scythe culture in Europe and North America. At times Peter was demanding, but what he demanded of others he was always ready to match himself. He had little tolerance for someone misrepresenting the facts, especially for their own personal gain. Peter was my instructor when I visited their farm, and later became my mentor when I decided to take the scythe to Nepal and eventually to India. 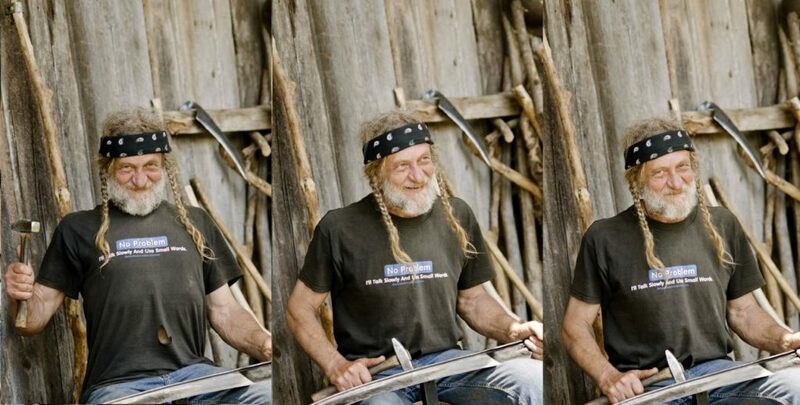 His long-standing intention was to spread the use of scythes as appropriate technology for small farms around the world. At times our approaches may have differed, but we never questioned our shared vision. Since we lived nearly 6000 km apart, at opposite ends of Canada, we would spend countless hours on the phone. 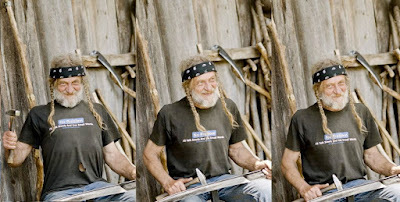 He regularly gave me 'tutorials' as we considered designs, discussed techniques, shared experiences, and made plans, looking for a ‘better way’. It would not have been an exaggeration to refer to Peter as a ‘Living Scythe Library’. He had the ability to acquire, sort, and store huge amounts of information on the subject, and he was always ready to share it freely. Peter wasn’t a 'simple' farmer. I always thought of him as a visionary intellectual living on a farm, who viewed himself as a steward of the land in his care. Many years ago, Peter Vido came upon something good, something he knew right off he had to share. The more he learned, the more he wanted to share, and continue to learn. His appreciation and respect for this humble but graceful tool grew, and as he glimpsed the extent of what the scythe has to offer to our battered world, it became his mission to share the Gift of the Scythe with all. He started down the path of a scythe missionary with no way of knowing where it would lead him or how much he would eventually accomplish. Though he touched multitudes through his work, he still saw a great deal of unrealized potential. The burden of responsibility, to share with others the knowledge and wisdom he had gained through the years, weighed heavily on him, yet he carried that burden the best he knew how. Shrugging at a terminal illness diagnosis, he determinedly continued the work he had begun with more relentless optimism than most of us muster in the face of unrelenting challenges, ignoring his rapidly declining health to give a final push to the humble beginnings of a book project several years in the making, and making one last trip to Europe — where years ago he had earned the lighthearted title “Sensen Papst” (Scythe Pope) — in hopes of inspiring another step towards the scythe renaissance he first envisioned over two decades ago. Then, early one morning as dawn broke on the other side, he slipped off to more peaceful meadows where scythes inspire only cooperation, not conflict. It's May Day 2018, and Peter Vido and his family have released a new book on scythes, titled "The Big Book of the Scythe, Part 1". This comprehensive instructional book is being provided at no charge, as a free download from their Scythe Connection website and related sites. It's still a work in progress, but the information is there, even if it's currently a little "rough around the edges". 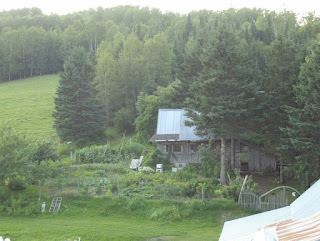 The book's contents are based on the Vido family's decades of scythe usage as an integral part of their full-time homesteading and livestock farming. The Vidos have been working on this book during the past few years, and the project will be ongoing, with occasional releases of improved versions of Part 1, along with the future development of the subsequent Parts 2, 3, and 4 (with each part having a different focus, as outlined here). A paperback version is also being produced as a fundraiser for scythe introduction to small farmers in Latin America, Asia, and Africa. Once all the peening and sharpening was done, I did an experiment with the 12 of us (including me) doing a "group calisthenics" warmup starting with David Tresemer's idea of letting one's arms hang loosely while swinging/twisting hips and torso from side to side. This progressed to doing this while having the elbows bent and hands partially closed, as if holding a scythe. This swinging progressed further to include a shifting of weight from side to side, in sync with the arms. 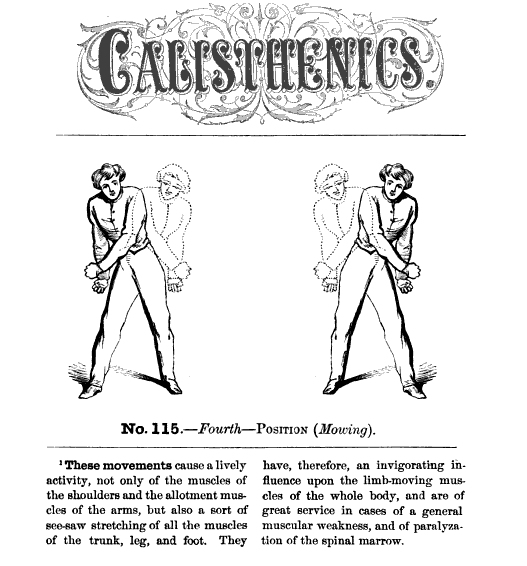 This progressed further to have increased bending of the knee closest to the hands, while the heel of the other leg comes off the ground at the end of each left or right swing. This progressed further to have each foot move forward a couple inches as it is unweighted and the heel is raised. 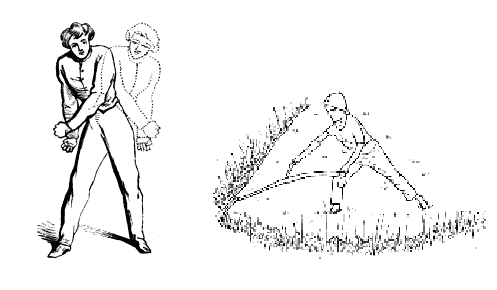 By now, everyone is doing the scything motion, including the forward advance with each stroke. This progressed further by having everyone slow down the pace of swinging so that it matched one's breathing, exhaling during the swing to the left, and inhaling during the return swing to the right. It was like practicing scything without holding a scythe. It seemed to prime everyone for the actual scything that immediately followed. Right off the bat, they were doing it better than I expected, including a guy who never held a scythe before who came along with a friend. So I consider the experiment a success.